Turn old sweaters into something new. It’s the simplest form of re-purposing that old sweater you never wear anymore—why didn’t I think of this?! Designer Haik Avan­ian and her mom are the masterminds behind reknit. For the month of Feb­ru­ary, send an old sweater to Avanian’s mom and she will transform it into a fabulous pair of cut-off gloves. Each month a different item will be selected based on user votes. Paper curling and other styles of paper artwork have been really catching my eye lately. I just can’t get over all of the details and layers in each piece. Yulia Brodskaya is a UK artist that I recently discovered. 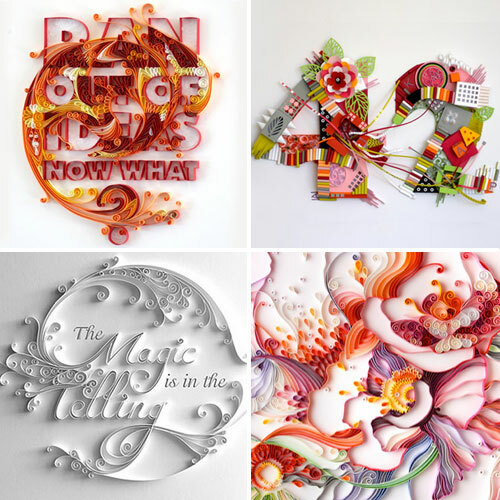 She creates the most amazing, extremely intricate paper illustrations. See more of her work here. I recently discovery Natalie Perkins work and love her ink lettering and doodles. They add so much character and whimsy to their paired photographs. Check out more of her work here. 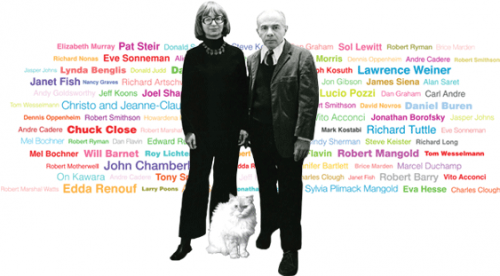 Last night I watched Herb & Dorothy, an amazing documentary about a couple who managed to build one of the most important contemporary art collections in history with very modest means. Besides being the cutest couple ever they have amazing love for unique art and succeeded in filling every inch (and I mean every inch) of their tiny NY apartment with artwork—over 2000 pieces in thirty years. It’s a truly incredible and inspiring story. Add it to your netflix queue right now! You are currently browsing the fancy seeing you here blog archives for February, 2010.